You will find this Blender Peach Ice Cream so simple to make. 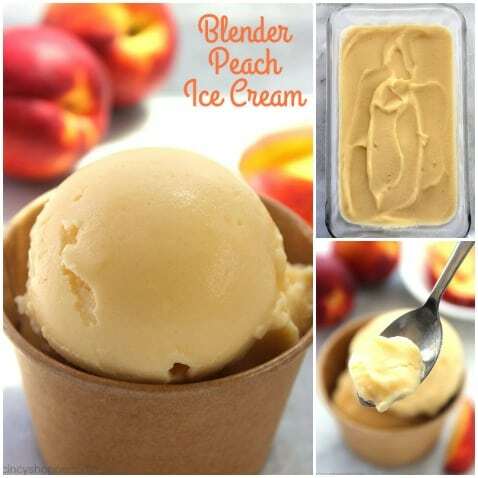 You can make this delicious cold treat with fresh or frozen peaches right in your kitchen blender. So easy. 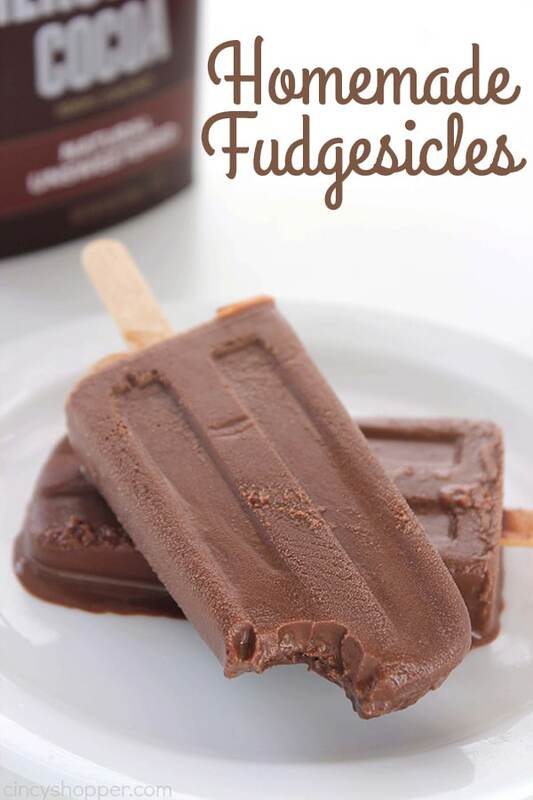 Quick and easy summer treats are a must for hot days. When the temperature rises, my kiddos are always ready for a cold treat. Homemade ice cream is one of our favorite things to enjoy. When we are on a healthy kick, we quite often make our Easy Strawberry Banana Ice Cream. 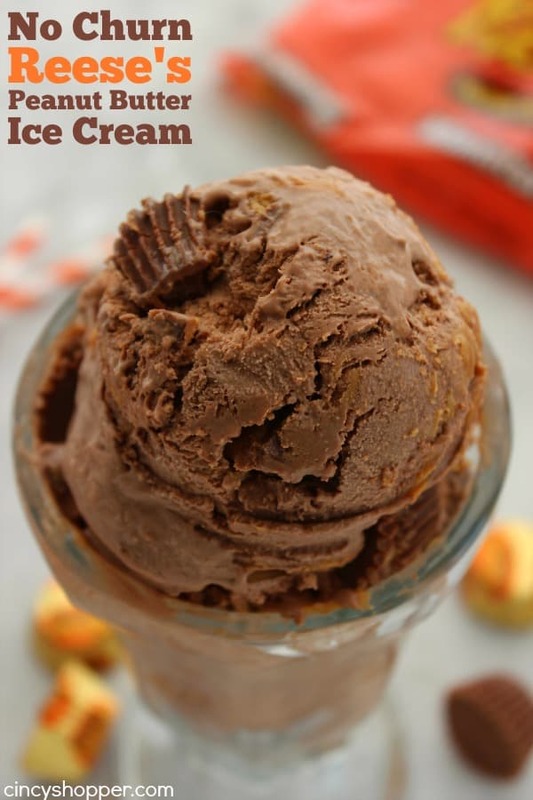 If we are not being so healthy, we make our most favorite, Homemade Reese’s Peanut Butter Ice Cream. I actually forgot to share this recipe with you last summer. 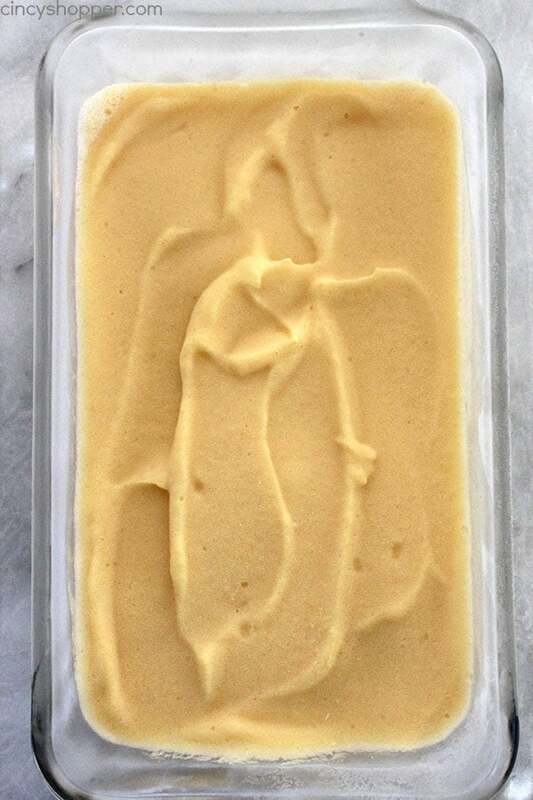 We made a batch of this Blender Peach Ice Cream, I snapped some pics, then let the kiddos enjoy it. I then forgot to put it out on the blog. 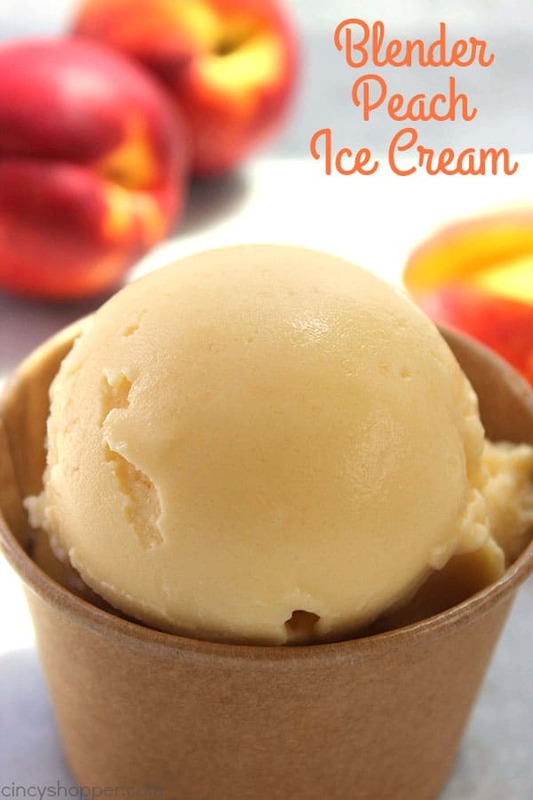 I picked up some fresh peaches this past week and the kids requested “that easy peach ice cream” that I made last year. I then realized I had not shared it with all of you. So… up on the blog it is. The best part of this recipe is that No Ice Cream Machine is needed! 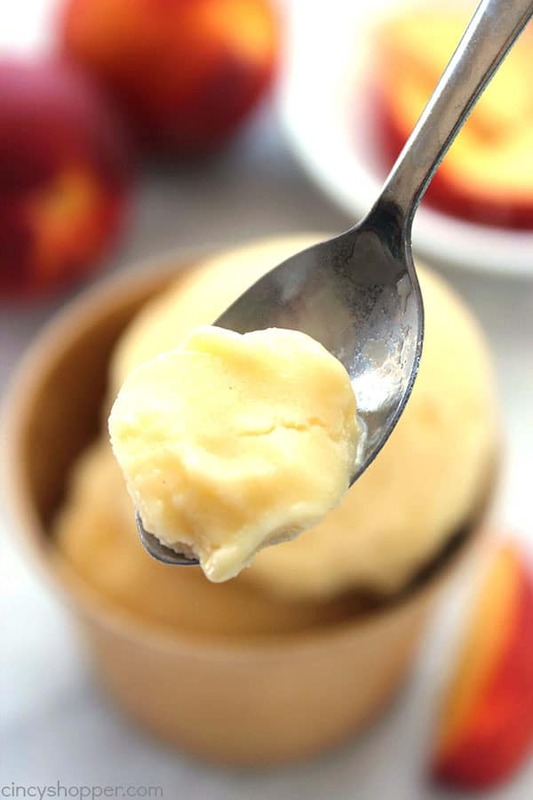 Making Blender Peach Ice Cream requires just 3 ingredients and a few minutes time. 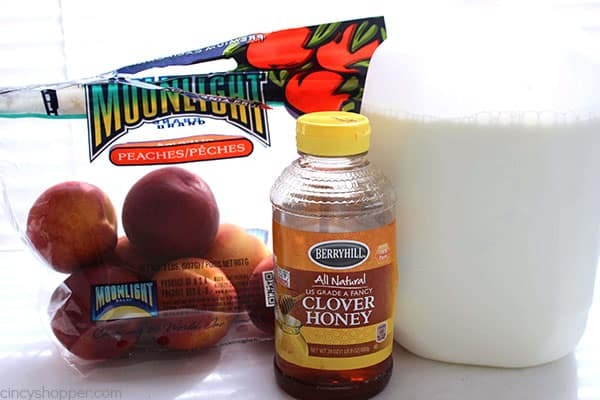 You will need fresh or frozen peaches, milk, and honey. So easy. You make the ice cream right in your countertop blender. 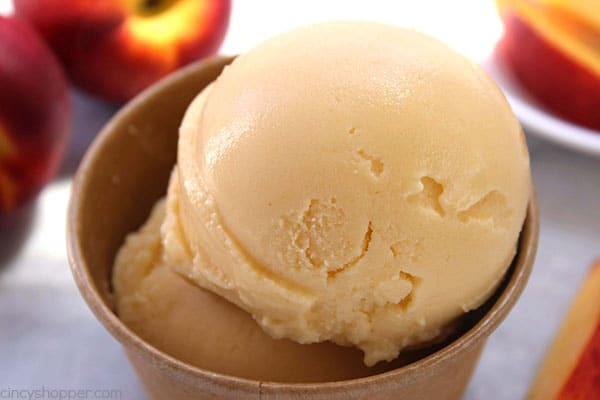 This ice cream is so delicious and full of great peach flavor. You will love it! Add milk and honey to blender. 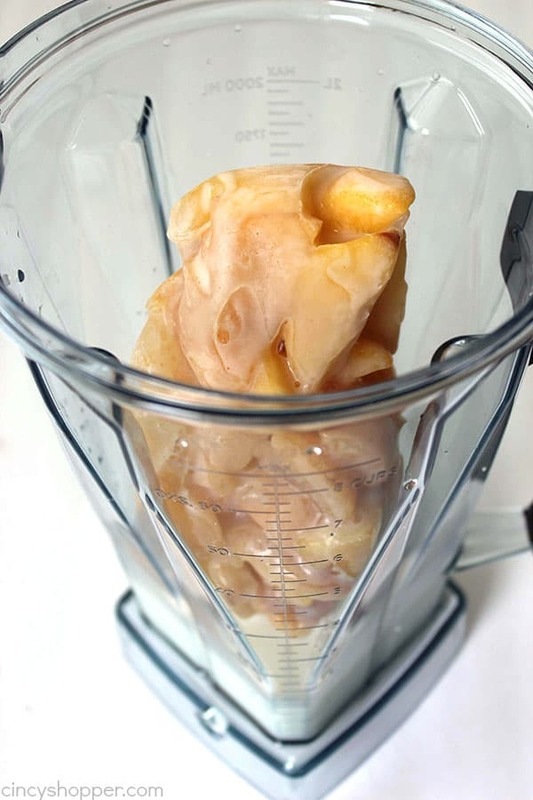 Gradually add peach slices to puree – If you have a powerful blender, you can add all your peaches at once. When every thing is incorporated, mixture will resemble loose soft serve. Transfer to glass loaf pan and place in freezer until firm. If mixture gets too hard, sit pan in warm water to loosen from pan. 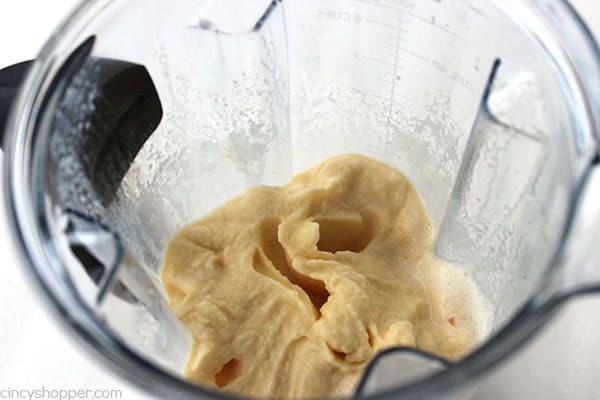 Break up frozen mixture and run through blender again to soften. 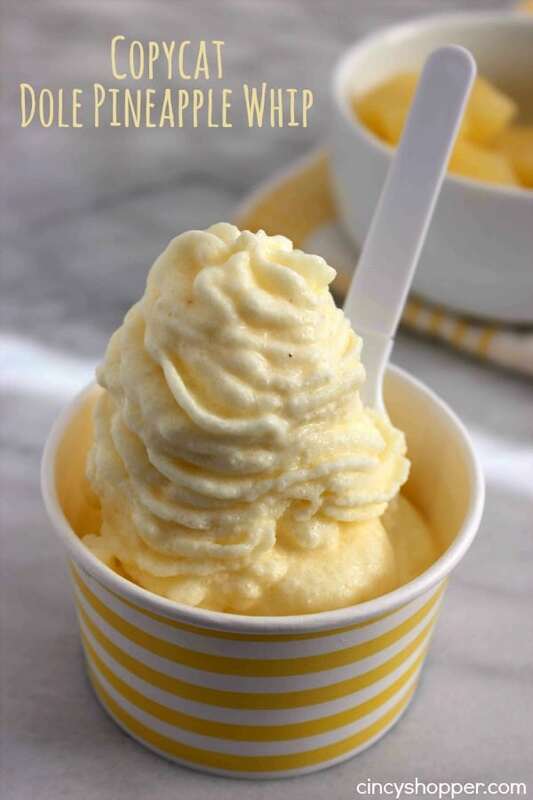 Do you have a favorite homemade ice cream recipe? Add milk and honry to blender. 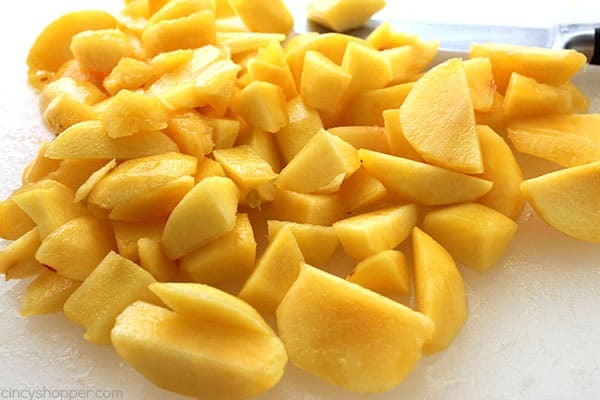 Gradually add peach slices to puree. This looks incredible! 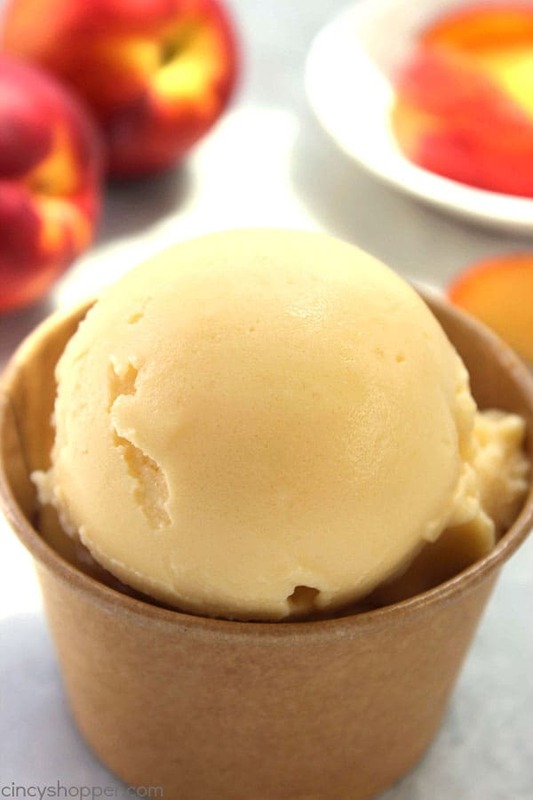 I love peaches but I’ve never thought of making my own ice cream with them. Thanks for sharing your awesome and easy recipe with us at Merry Monday this week! I must try this, it sounds delicious. Sugar? Did you mean Honey? I love peach anything, so I am really looking forward to trying this! Must one use a glass loaf pan? Can’t wait to try this! Are we using the Honey as the sugar? Thank you, great recipe can’t wait to make and enjoy with the family. Love peaches! Fruit ice cream is the best when the fruits are in season. Thanks for sharing on Merry Monday! Will be using this in an ice cream round-up this week. Would it work to put this into popsicle molds to make peach creamsicles? Would they slide out easily enough and then keep their shape or would they be too soft for popsicles?